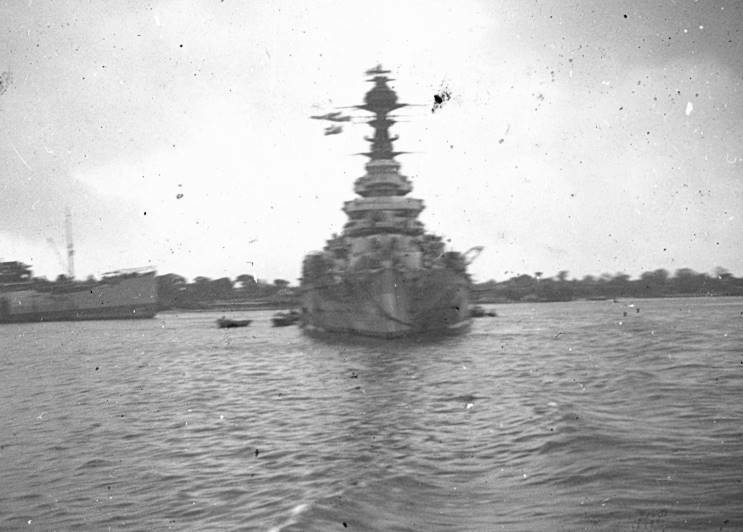 HMS Resolution, date and location unknown. 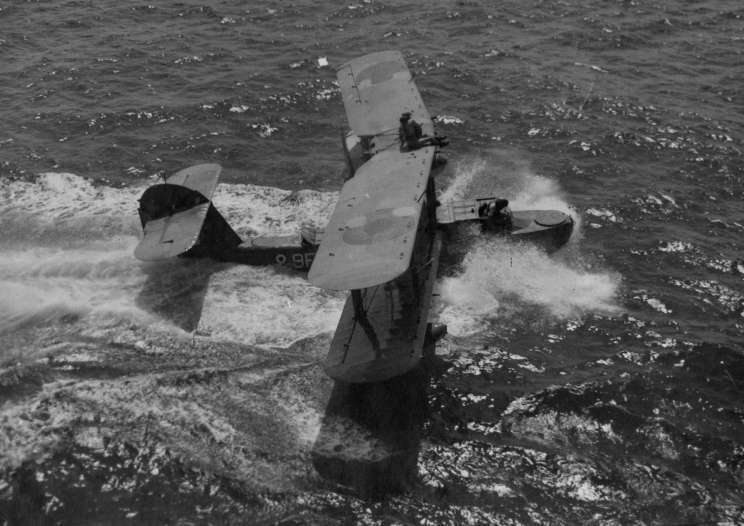 A Supermarine Walrus landing alongside HMS Resolution. 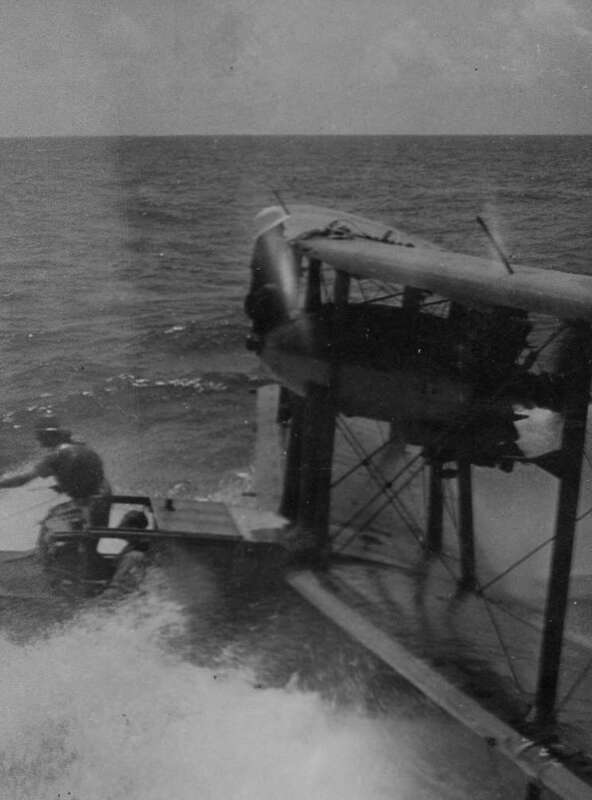 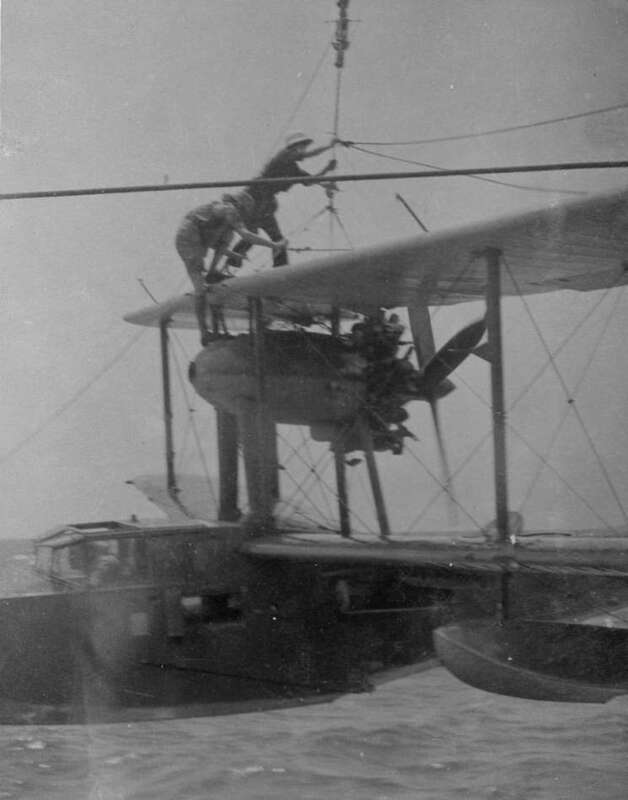 The Supermarine Walrus being hoisted aboard HMS Resolution. 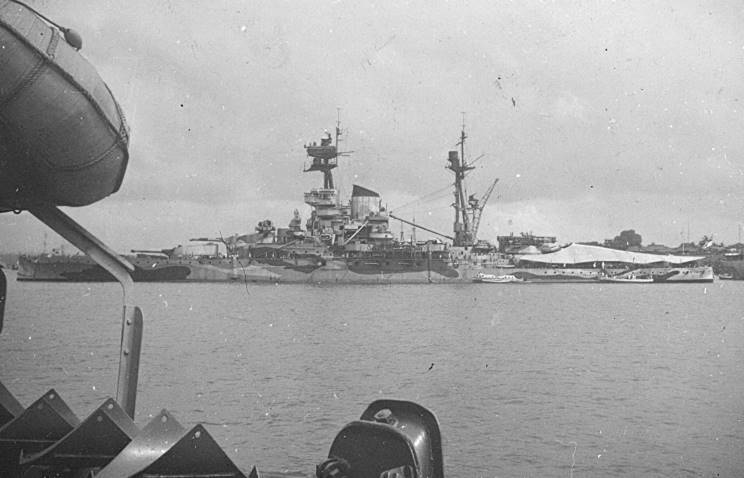 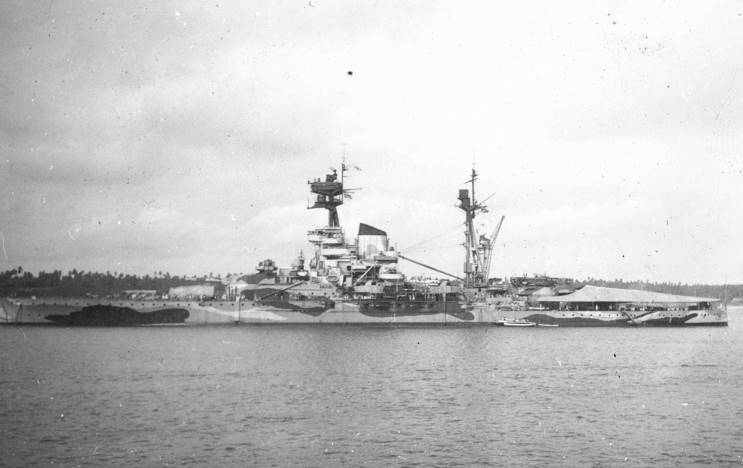 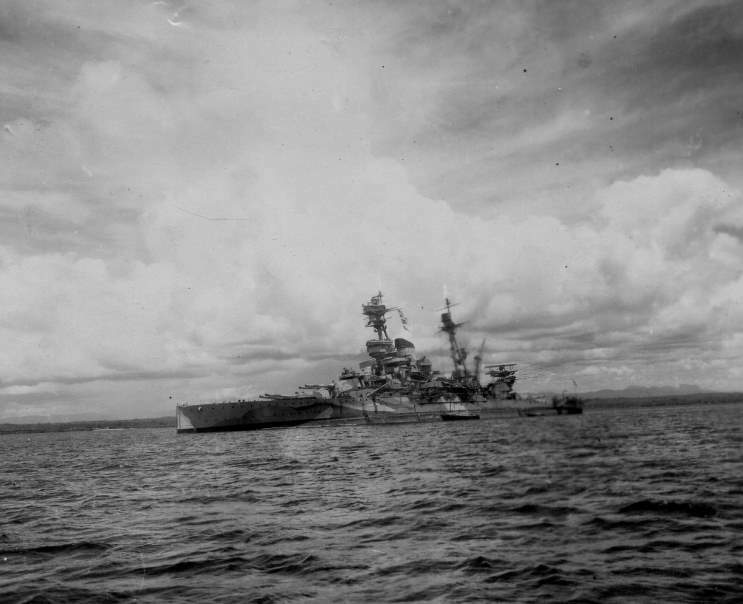 HMS Resolution seen in the mid 1940's.